Welcome to the Law Office of Bret Whipple, Esq. 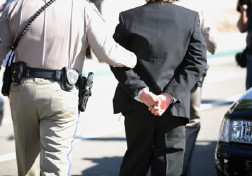 "A Las Vegas Traffic Tickets Law Firm Dedicated to Justice." At the traffic ticket law firm of Bret Whipple, our clients come first. We are dedicated to protecting and preserving your rights. Every client is treated with courtesy and is guaranteed professional, personalized, legal representation. There are two major types of traffic tickets: tickets for moving violations and tickets for non-moving violations. Moving violations include speeding, failure to obey traffic signs or lights, illegal turns, or doing anything else illegal while your vehicle is in motion. Non-moving violations are for offenses like no proof of insurance, driving on a suspended license, and no proof of registration If you've received a traffic, speeding, or DUI ticket in southern Nevada, Las Vegas traffic tickets attorney Bret Whipple can help you negotiate a lower fine (or in some cases no fine) and fewer or no points on your driving record. 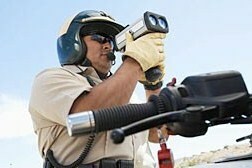 Let Us Fight Your Speeding, Traffic, Reckless Driving, and DUI Tickets.